Hiking, Backpacking and Wild Camping Blog: Who wants the Roaches? Nine bodies and individuals have shown an interest in taking over a prime Peak District climbing site. 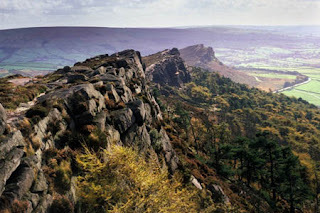 The Peak District National Park Authority is now asking for people’s views on what they want from any partnership in control of the Roaches in Staffordshire, a 394ha (975 acre) estate popular with climbers who head for its gritstone crags. The authority is looking at either selling the land, which includes the British Mountaineering Council-leased Rockhall Cottage, or entering into a management partnership, as part of its cost-cutting measures following budget reductions by the coalition Government. The Peak authority said the nine interested parties are a mixture of environmental and land management organisations and individuals, some proposing a lease, some a purchase. It wants to hear the public’s views and is asking for comments and any key questions they would like potential bidders to answer. It is also consulting local councils, neighbours and interest groups. The deadline for replies is 14 January 2011. Submissions will be considered before drawing up a final set of objectives for the Roaches. The authority will then decide which partner could provide the best outcome for the future of the site, including conserving its wildlife, heritage and landscape, ensuring open access, increasing understanding of its special qualities, looking after its farmland to high conservation standards and managing traffic. Shooting rights are specifically excluded, the Peak authority said. Further details and information on how to submit views can be seen on the Peak District National Park website.